Visiting the Dominican Republic? 10 Things You Need To Know First. I never imagined enjoying Bachata Music or moves, especially being so stuck in my own ways enjoying the music I’m more accustomed to; but four weeks was all it took to change that. The people of the Dominican Republic take loving your own music to a different level, in so much that it is quite unusual to walk by a bar and not hear Bachata or Merengué. By the time I was leaving, I felt as if I had known the smooth moves to Bachata all my life, as I automatically became immersed in the similar sounds of the music I heard while in the bigger part of Hispaniola. 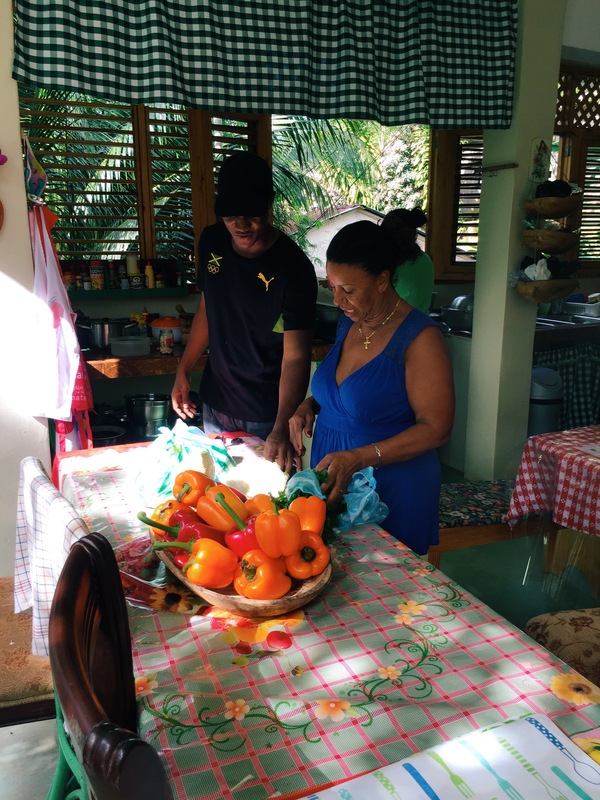 Throughout my trip, there were several things I wish I knew before traveling to the beautiful country, but now I can share them with you in making your experience better. Let’s go! Let me get it out the way first things first. If safety is at the top of your worry list as it rightfully should be, then here’s good news- it’s totally safe. The Dominican Republic invests so much in Tourism that there are designated tourist protection police (CESTUR) at virtually every corner. CESTUR, the name by which they’re identified, is one you will get accustomed to seeing while there. But while the CESTUR police are generally helpful and attentive as they ought to be, never forget that you’re visiting a third world country, so you might want to take precautions to protect yourself. Throughout my four-week stay in the Dominican Republic, I had no encounters that threatened my safety, which admittedly could have been a result of the fact that I look like a local, or being a citizen of another third world country, as such being instinctively predisposed to certain precautions. Do not drink the tap water. The water in the Dominican Republic is not potable, and this is a warning you will observe in public bathrooms, as well as hear from locals. The good news however- bottled water is affordably priced and the brands vary, so you have a variety to choose from based on your budget and liking. Be Mindful of the 18% Tax at POS Machines. Budget travelers like myself especially should take note of this, it is more advantageous to pay in cash at business establishments such as restaurants and supermarkets, as your payment is tax free. If you have a more flexible budget however and feel more comfortable using your card, then be prepared to be charged 18% of the purchase total. A Little Spanish Goes a Far Way. Even just a little, ensure you know some Spanish, at least the basics. For a country which places Tourism as top priority, one thing I would say is a major failure of the Dominican Republic is that most persons working in the Tourism industry do not know even a little English. Surprising isn’t it? Even if you find yourself in establishments such as banks, supermarkets or the hospital, you will have a difficult time if you don’t know Spanish. There were many times I found myself saying ‘no hablo mucho español’ in hopes that whomever I’m communicating with knew even just a little English, and my basic Spanish did not always suffice. Luckily I was able to make gestures to provide clarity, and I must admit they did try to meet me half way by attempting to pronunce English words. Overtime I learned basic Spanish words and phrases; afterall the frustration of having a conversation and hardly understanding got pretty annoying. So start brushing up on your Spanish. 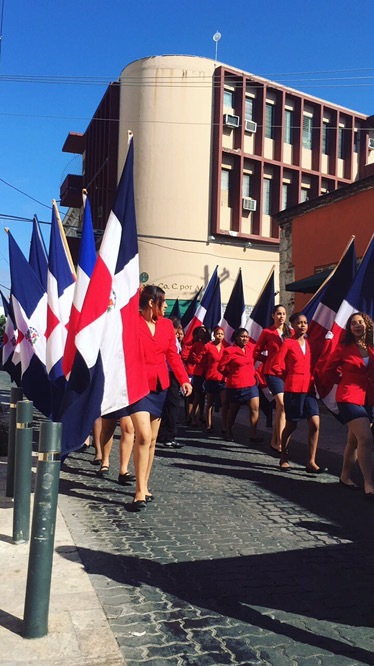 Like any other Caribbean country, the Dominican Republic has its colloquial expressions seperate from its’ native language. In no time you’ll be saying ‘Que Lo Que?’, which is equivalent to the more formal ‘Hola Que Tal’. Another to take note of is ‘Buena’, the less formal way of saying ‘Buenas Dias/Tardes’, and is generally how locals greet each other. It may be a little strange but what justifies this is Dominicans do not pronounce the letter ‘s’ in the middle and at the end of most words. Staying with Manty who opens up her home to guests and charges per night, fulfilled my desire to see what life is really like in a Dominican household. 6 PM is the cut off time for public transport in most areas. Motoconcho’s (bike taxi’s) and GuaGua’s (mini buses/pick ups) are common and popular modes of transportation, and are quite cheap. Traveling on either of these provides a great opportunity to free yourself of your tourist tendencies and indulge in local routines. You just don’t want to find yourself in a situation where you’re stuck in El Limón after 6 pm and you need to return to Las Terrenas, because you’ll end up having to charter a Motoconcho which can cost you up to 500 Pesos depending on your haggling skills and the discretion of the rider. Don’t end up like me. A similar rule applies when taking transport from major cities to other provinces. Always ensure you know the bus schedule, as depending on your location and intended destination, the last bus may depart as early as 3:30 PM (Santo Domingo to Last Terrenas). Otherwise, you’ll simply have to wait until the next morning. Always Know How Much Your Fare Is. While I won’t imagine that it is a normal practice, being overcharged on Guagua’s almost happened to me twice. Fortunately, I knew how much my fare was beforehand so that is what saved me. A little convo with locals regarding fares can assist in dodging that bullet. It would also be wise to confirm the cost with the driver before beginning the journey. They know what they’re doing and it’s totally normal to them. Not trying to scare you away but it’s just the ugly truth. In fact, it’s even worse if you’re a pedestrian- based on my experiences the drivers clearly don’t recognize the pedestrian crossing. It could have been that the drivers who passed me standing at the pedestrian crossing were all having a bad day, but in the end I had to risk it all and dash across busy main roads on several occasions. Better yet, you actually don’t know what weed is. Let me jump right to it and warn you that smoking Marijuana is taboo in the Dominican Republic and it is very much an illicit drug. In fact, it’s not classified separately from Heroin or Cocaine, so a word to the wise is just forget about its existence at the border. Locals are Geuninely Kind and Gentle. So if you find yourself in a situation where a local (usually a woman) offers you food as a random act of kindness, don’t find it strange, as it is quite the norm. Instead, politely say ‘No Gracia’ with a smile or kindly accept and express gratitude. By now you must have understood the seriousness of Tourism in the Dominican Republic, but if not, the locals certainly do, and it manifests in their gestures towards foreigners. On a bus from Santo Domingo to Las Terrenas, a lady beside me realized I’m not a local and offered to share with me her Fried Pork and Sweet Potatoes with sincere urgency. I was honestly full but felt it would have been impolite to decline her offer, so I gratefully tried a small portion. Now of course I’m not saying you should accept food from anyone; trust your own judgement but just don’t be surprised or act awkwardly should this become your experience. Bearing in mind these tips will guarantee a great time in the Dominican Republic. But don’t forget that unforseen occurences will play out during your travels. No amount of tips could have warned me that I would end up missing my flight home from the Dominican Republic. Neither did reading extensively prepare me for losing a great amount of the limited cash I had within days of being there. Pack your suitcases and put some positive attitude in your carry-on; you are in for a good time in the cradle of the Caribbean. Hey! Great tips! So I’m a Jamaican interested in traveling to the Dominican Republic and I don’t have a clue what to do. Could you help me out? Is it that you need a US visa or its not necessary and if not, where would I need to travel to in order to get to Dom Rep? To my knowledge there are no flights from jamaica to the Dominican Republic. 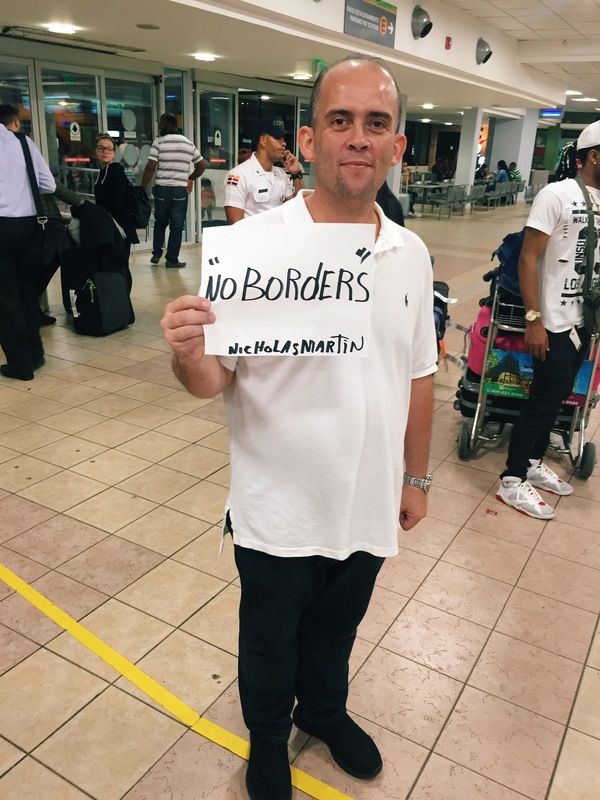 Check out my friend’s post on his trip to La Republica Dominicana!